Balls and Halls is a game created by Ian T for Github Gameoff 2017. The theme for the Gameoff was "throwback". When you get into the dodgeball level (after clicking "Play Game"), you may need to click in order to prevent the cursor from leaving the game window. Unfortunately, the game resolution at full screen will probably not be perfect for most monitors. Thus, full screen is not recommended. The game is separated into 2 distinct levels. 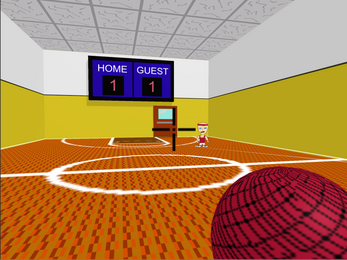 The first level involves a game of dodgeball, and the second level is an oldschool style FPS. Hold left mouse button to build up throwing power; release to throw. Blue balls are safe to pick up. Avoid red balls at all costs. 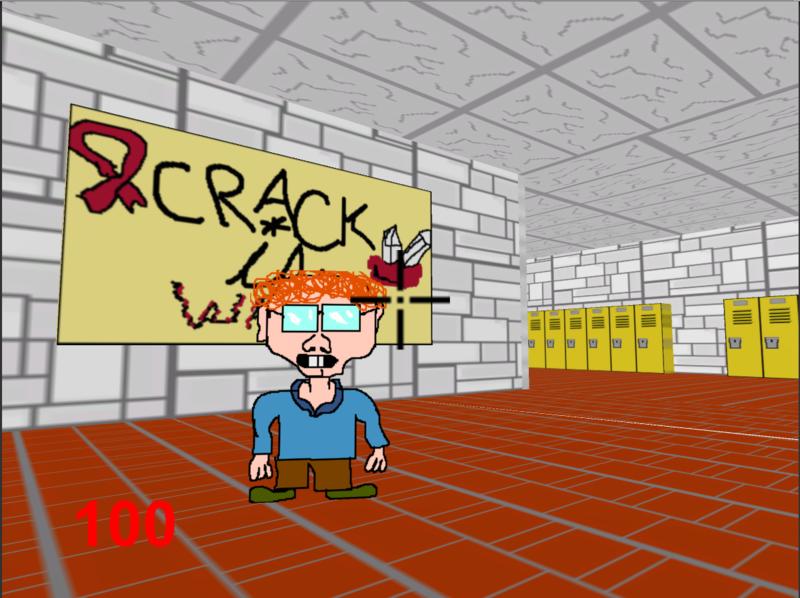 Use left mouse button to shoot rubber bands. During dodgeball, you must "throw back" the balls at your opponent. All graphics in the game use the NES color pallette. 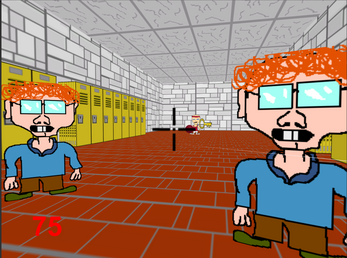 The second level is a throwback to oldschool FPS games like Doom or Wolfenstein. 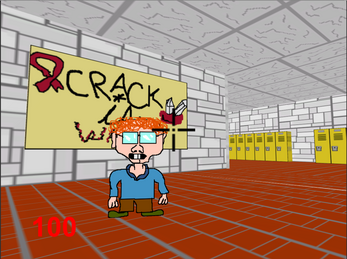 All music and sound effects in the game were purposefully made in a retro style. 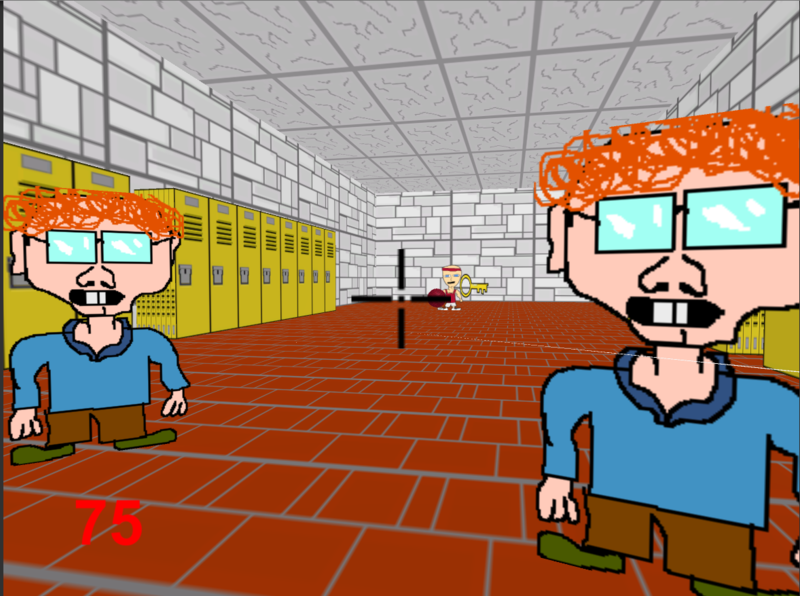 The game takes place in a high school - a throwback to the days of our youth.